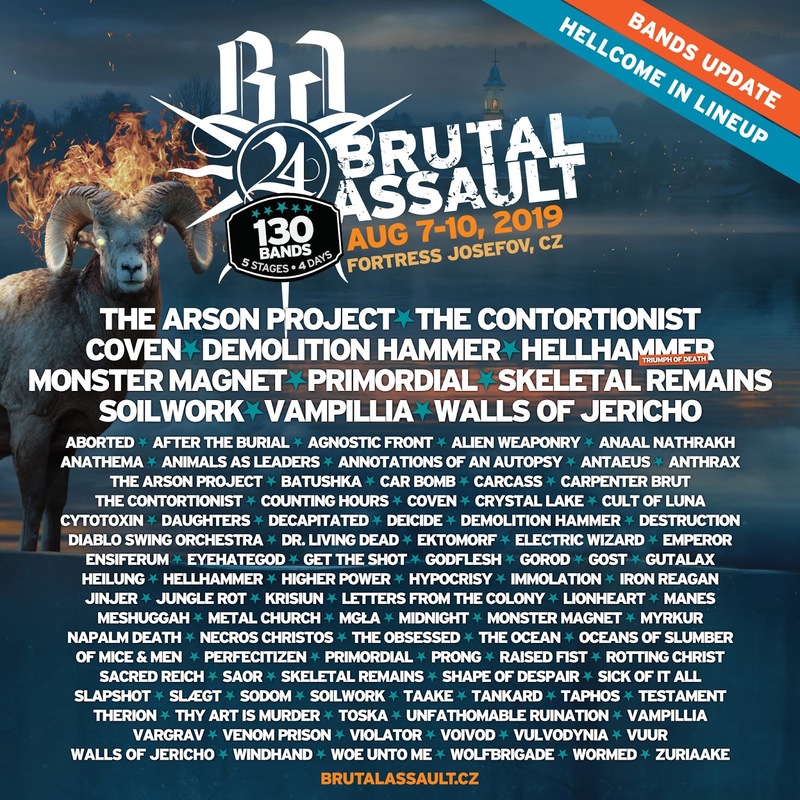 BRUTAL ASSAULT 2019 - New Confirmations For The Czech Superb Festival! Here it is a new line-up update from Brutal Assault festival 2019! Picking their name from a line in Demolition Hammer’s ‘Human Dissection’, California’s SKELETAL REMAINS not only have proven their exquisite taste when finding the right moniker, but also musically by citing Death, Pestilence, early Gorguts, Morbid Angel and the afore- mentioned NY thrashers as influences. With their insanely good album Devouring Mortality, SKELETAL REMAINS are coming back to conquer what’s theirs on Brutal Assault! The festival is happening between 7. – 10. August 2019 in Jaromer, Czech Republic.